Enjoy reliable private transportation from all downtown Toronto hotels to Toronto Pearson International Airport (YYZ). Vehicles include black luxury sedans, SUVs, Sprinter Vans, and Mini Buses. Why go through the stress and hassle of long lines, shuttles that make multiple stops, and the stress of missing your flight, when you can travel in total privacy and comfort? With 25 years of experience, this private transfer specializes in downtown Toronto. 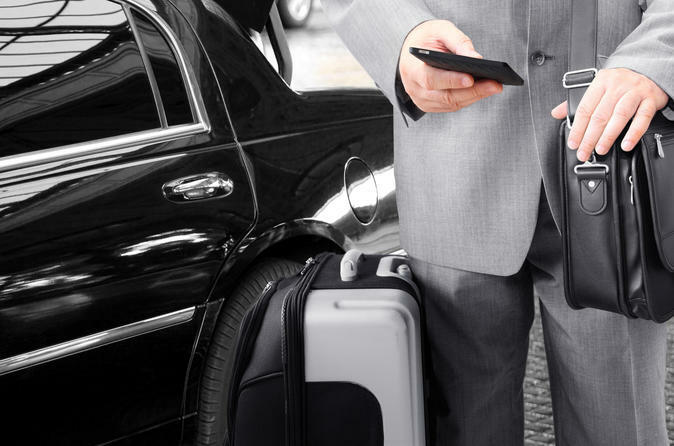 You can expect on-time, reliable, executive style transportation right from your downtown Toronto hotel to the Toronto Pearson International Airport. The vehicle fleet includes luxury sedans, SUVs, Sprinter Vans, and Mini Buses able to accommodate 1 individual or groups of up to 25 passengers. On-time service and satisfaction is guaranteed. Price of private transfer includes luggage handling and professional driver. Available 7 days a week, any time of the day, with a 24-hour live dispatch telephone number.